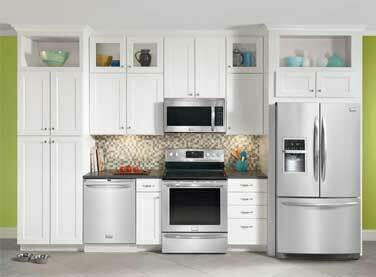 We are your local Frigidaire appliance repair specialists. Our company does repair, installation, and maintenance on all types and models of Frigidaire appliances. If your refrigerator, wall oven microwave or any other appliance brakes, we can help. Our team is factory trained and certified to do work on all types of Frigidaire appliances. For example, we fix Frigidaire Professional Collection as well as Frigidaire Gallery Collection. Our technicians know every aspect of this appliance brand. As Frigidaire makes more and more technologically advanced appliances, we stay on top of those innovations and know how to fix any of them. We specialize in deluxe kitchen appliances and European brands as well as regular classic appliances. Frigidaire makes excellent, quality products that can last you a very long time. All you have to do is maintain them and when needed to hire professionals to repair them. With our help, your Frigidaire appliance will last you a long time and will function perfectly. We know how to get genuine parts at very affordable prices and how to install them correctly. We work quickly and diligently. Customer satisfaction is our number one goal! Besides having in-depth knowledge of Frigidaire appliance repair, we also offer you the best customer service possible. Our technicians are always respectful and polite. We offer you a FREE, accurate estimate with any job and flexible appointment scheduling. Same day appointments are available. The service call is always FREE with any repair. We try to make our service calls as easy and convenient for you as possible. 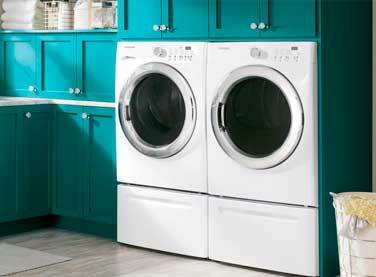 Our company Top Home Appliance Repair has more than 30 years of experience in appliance repair. We are a family owned and operated company. The service area of our company includes Los Angeles, Ventura County, Marin County and East Bay. Our skills extend to both residential appliance repair and commercial appliance repair. Our technicians know everything there is to know about major home appliances such as refrigerators, dishwashers, washers, dryers, stoves and ranges, ovens, steam ovens, microwaves, freezers, ice makers, barbecues, pizza ovens, patio heaters and much more. No project is too small or too big for us. We love challenges and try to save you money and give you top notch service. For Frigidaire appliance repair give us a call or complete our short contact form. We will schedule a convenient appointment for you and give you our FREE quote. We will try to preorder the parts for your appliance to speed up the repair process. Usually, we try to get your problem solved in one appointment. But sometimes we do need to come back for another appointment if we find something unusual. Whatever the problem is our company will try to make it convenient for you. Our technician will come fully ready for your particular project. He will bring with him all the parts, tools, and equipment needed. Once he is at your place, he will immediately set to work. Our technician will quickly determine what is wrong with your appliance and get to fixing it. He will replace the parts, clean up the machine and troubleshoot. After the job is complete, we will clean up after ourselves and dispose of all the broken parts. We will test your plug your appliance back in and thoroughly. After an appointment with us, you can be sure that your Frigidaire appliance is fully functional and safe to use. Our company also offers annual or bi-annual maintenance program. When you are a part of this program, we will do all the maintenance for you. We will prevent any problem before they even start. This service will save you time and money. Why choose us to do Frigidaire appliance repair for you? You can be sure that we will give you great results because we are the most skilled appliance repair company with extensive experience. We simply know everything there is to know about most of Frigidaire appliances. Our technicians are all factory trained and certified. We also offer you excellent, friendly and reliable customer service. When it comes to appliance repair, we are simply the best! For Frigidaire appliance repair, please call us at 925-265-7782 in East Bay or 628-214-0064 in Marin County. Or you can fill out our short contact form. We would love to talk to you and answer all of your questions. Besides Frigidaire appliance repair are also certified to repair Asko, Bertazonni, Bosch, Dacor, DCS, Electrolux, Fisher&Paykel, GE, Jenn-Air, KitchenAid, La Cornue, LG, Liebherr, Marvel, Miele, Perlick, Samsung, Siemens, Sub-Zero, Thermador, Traulsen, True, Viking, Whirlpool, Wolf. We repair refrigerators, washers, dryers, dishwashers, stoves, ranges, ovens, steam ovens, microwaves, freezers, ice makers, barbecue grills, pizza ovens and much more. We are your local Frigidaire appliance repair specialists. Our company does repair, installation, and maintenance on all types and models of Frigidaire appliances. If your refrigerator, wall oven microwave or any other appliance brakes, we can help. Our team is factory trained and certified to do work on all types of Frigidaire appliances.